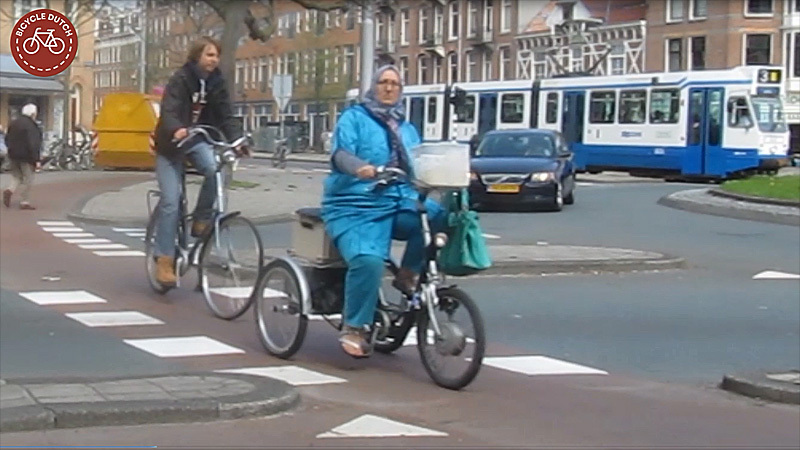 Cycling in the Netherlands is very inclusive. It isn’t restricted to the daring young men who can get up to speed and who are fearless in the busy urban traffic. 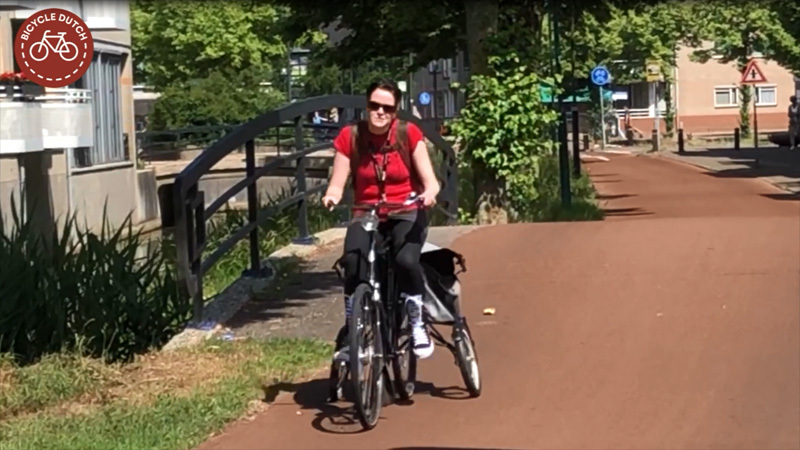 In the Netherlands cycling is a viable transport option for young and old and also for people with a disability. 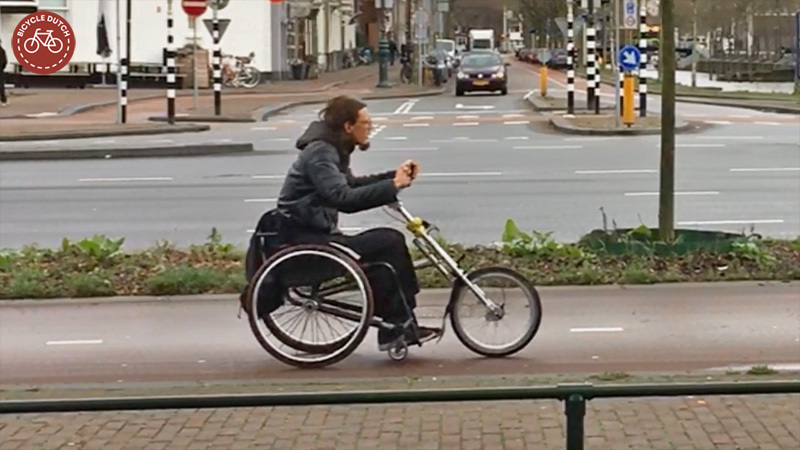 This man uses a detachable hand tricycle in the streets of Utrecht. This looks like a trailer at first glance. But this is a bicycle with side wheels. What do you call a cycle with four wheels? Cycling is freedom, a freedom to travel, that opens up worlds for young children but also for people with a disability. 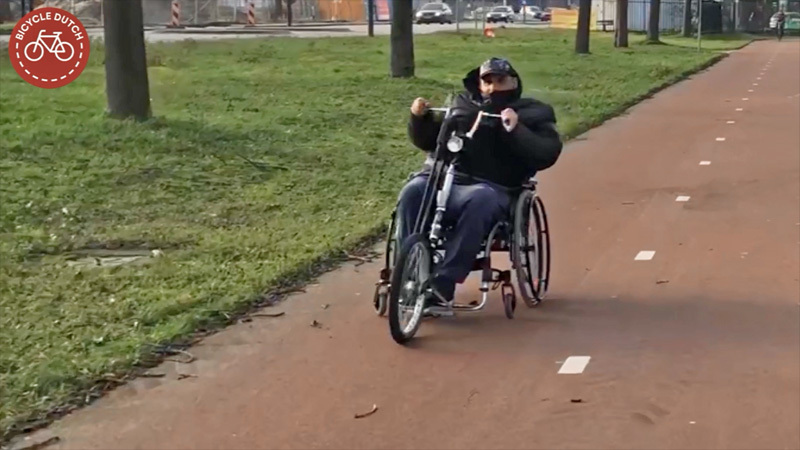 Thanks to the special needs vehicles and the superb cycling infrastructure network in the Netherlands they use the tricycles for transport, fitness, therapy and recreation just like anyone else. Kitty Verbeek from Enschede cycles 150km per week on her tricycle; to work in Hengelo and for recreation. Her life motto: People who are born with a disability shouldn’t hide at home, but live their lives in the heart of the community. A handcycle attached to an ordinary wheel chair makes it easier to take longer trips. Three times as long as in the wheel chair alone. I have shown you how many people in mobility scooters use the cycleways, in an older blogpost. This time I focus on the tricycles. There is a whole range of these tricycles available. They can be handbikes, ordinary wheelchairs with an attachable hand cycle at the front, often e-power assisted, or tricycles with pedals. The latter are great for people who cannot hold their balance for whatever reason. Many people do not want to use a mobility scooter (yet) and you are much more active riding a tricycle. 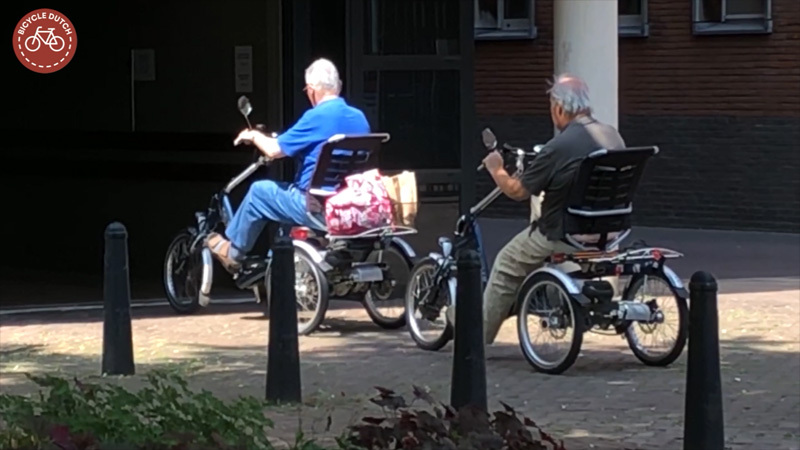 These two older gentlemen returned from an outing on their matching electric tricycles. They enter the bike parking of their apartment building in Utrecht here. Jetske Postma (26) had so far been dependent on her parents or a mobility scooter. But she no longer wants that. “As a 26-year-old I simply do not want to be in a mobility scooter. I was always very sporty, before I was diagnosed with cervical dystonia, I want to be able to move again” she says resolutely. Some women from other cultures, who often had to learn cycling at a later age, find it difficult to hold their balance. A tricycle with pedals can be their ticket to transport freedom. You can use a tricycle in the centre of Amsterdam without any problem. Some municipalities of the Netherlands offer the tricycles on loan. Haaksbergen for instance. This smaller town in the east of the Netherlands explains on its website that the attachable handbike turns any wheelchair into a tricycle. Making it possible for someone with a disability to reach an area that is three times as large as without one. “The attachable handcycle is therefore the most ideal aid for independent transportation.” The handcycle is seen as a transportation device and not as a wheelchair. That is why this municipality finances this type of easily attachable handcycles from the special needs transport budget and not the mobility aid budget. A very sporty type of handcycle. This type of vehicle is often used for competition. This man is doing an evening training round in Zwolle. If you have set your heart on a completely bespoke tricycle that you can also use for competition, like Jetske, then you are forced to finance that yourself. 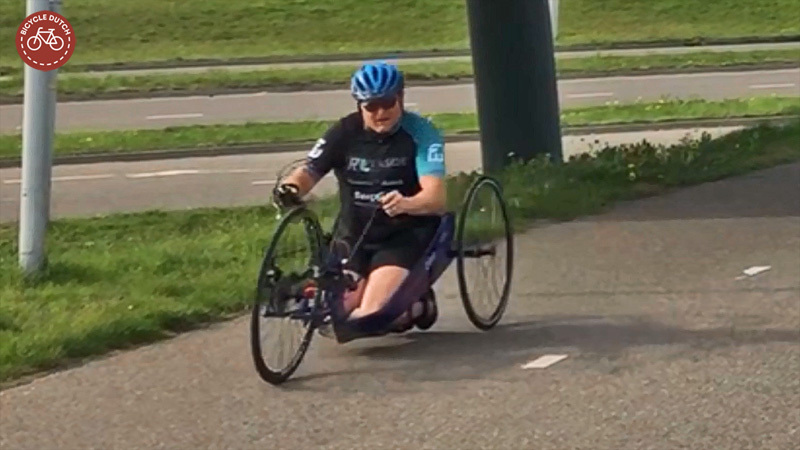 She has started a crowd funding project for her handcycle that will cost her 10,000 euros. “Let me cycle”, is her plead, “cycling will give me back my freedom”. As people who love to cycle I think we can all relate to that! A very nice type of vehicle is this side by side special needs tricycle that we see here being used in the centre of Houten. The boy had just slipped off the right pedal, but he soon put his foot back and helped pedaling again. This week’s video: inclusive cycling on tricycles. If someone (who rides a bike) breaks a leg, how do they get around? The attachable hand bike is a brilliant idea! That could be amazing for wheelchair users here in the USA that can’t afford an adaptive car (or cannot drive for other medical reasons) but would like to travel further or faster than they could using their chair normally. if you liked that, check these out. one model goes 40 km/hr ! I ride trikes too, just for fun. I am not disabled, or less abled. So I enjoy the wide bicycle paths too. I am very glad to live in the Netherlands. This is awesome. I have a friend (in Atlanta) who has a nice mobility scooter but is essentially trapped in one area with it because he can’t risk crossing busy streets. 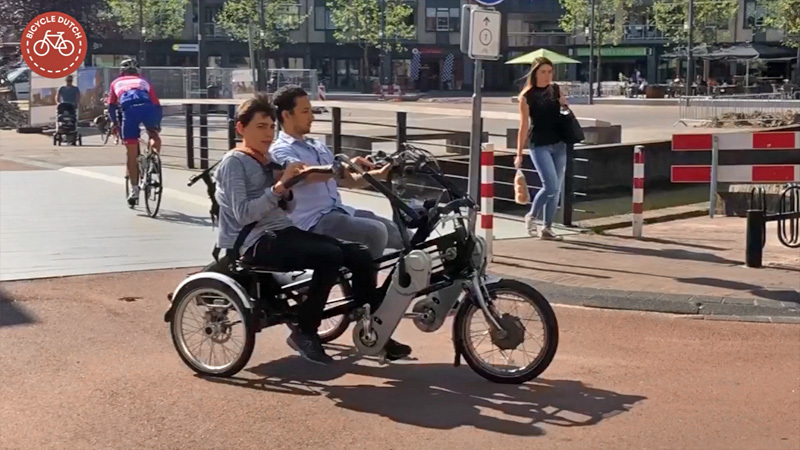 The man In the video that is pedaling a hand cycle attachment for his manual wheelchair at 2:25 has a Berkel bike, a design made in the Netherlands for the specific purpose of enabling those with handicaps to get around. They also make a model with electric assist, and even more interesting, have a model which uses electrical stimulation so that paralyzed leg muscles can help with the paddling. Awesome post and video compilation, Mark. 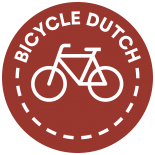 This entry was posted on 3 July 2018 by Bicycle Dutch in Original posts and tagged disabled people, watching people cycling.